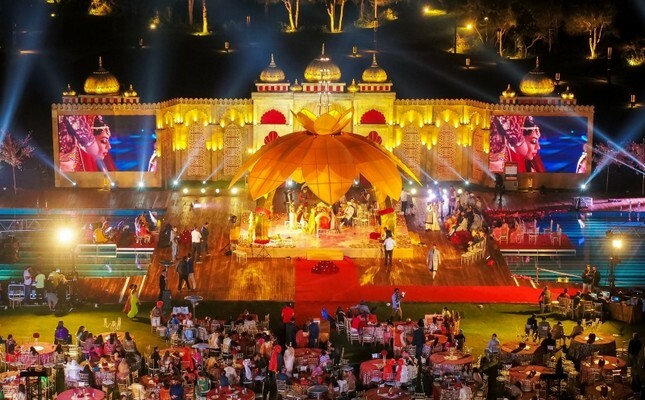 India's wedding organizers predict a 300-percent rise in Indian weddings held in Turkey this year, culture and tourism minister said Friday. Mehmet Nuri Ersoy met representatives from Turkish tourism industry and civil society in an event at the Chamber of Commerce in Bodrum, a touristic town of Muğla in the Aegean coast of Turkey. Ersoy told reporters that his ministry expects 2019 to be a fruitful year for Indian weddings taking place in Turkey as well as the number of tourists from Iran. "Several other airlines in India have also started to search the ways to fly to Turkey. There is a big interest." Turkey expects a fifteen to eighteen percent rise in early reservations this year, he added.